The third Sims 4 presentation was about Buy & Build Mode. Aaron Houts (SimGuruHouts) showed us the new features and how fast you can now build a house. Build mode is now very modular. The player can build a fancy house with a few clicks. Rooms can be made bigger and smaller by pulling and pushing. Already placed furniture that doesn’t fit anymore is simply placed in your inventory. Walls that touch to form a closed area are recognized as room by the game. Those rooms can then be rotated and moved. This way you can completely change your house just buy re-arranging the rooms. This will even work from one floor to the other. Objects already placed in the room will move with the room. Did you build your room in the wrong spot ? No problem. No need to delete and rebuild it. You can even place a room temporarily detached from the rest of the house. This is just the beginning though. Experienced builders should not get the short end of the stick, right? Well, it’s still possible to build a simple single wall and connect them to the room you want. You can push a room to become a wall or pull a wall to become a room. You can still build diagonal walls as well. Curved walls are still not possible though. “That’s pretty tough to do”, was the explanation we got. Walls can easily be made into fences and the other way round. You can pull up a wall to make it bigger so now you have different sized walls. At the moment there are up to 3 floor levels (not counting foundation and roof) but that number is still up for debate. Foundations are available in different heights and types. You can now even build them after the house is finished. There’s no need for columns anymore and you can build a level that hangs in in the air if you want. The player should have the biggest possible freedom to build what they want and decide for themselves if they thing something is realistic or not. You can add columns later and the integrate in fences too. Contrary to Sims 3, there isn’t a standalone buy mode. Buy and build mode are integrated into one. On the left hand side you will see the new magazine mode with blueprints of whole rooms. You can either place the whole room as such or just single items. If the room you want to place all the furniture in is too small to fit, the game tries to rearrange everything. I’m unsure what happens if there really is not enough space at all. The room has a certain color which you can change for the whole room (the color schemes were very limited at the moment but that’s still worked on). Of course you can still color single items once placed if you don’t want everything to be the same color scheme. There was no info about CASt and if there will be a clone tool or not. At first glance it seems that the catalog we’re used to is missing but it’s still there. You can still sort your items by function or by room. Wall objects can be placed anywhere on a wall and there are no sliders to move them up or down a wall. You just place them where you want them. This is not true for Windows though. They have their dedicated spot on the wall. There’s a new auto-place windows system that lets you evenly space windows in a room. The game decides which is the best place. You can of course move them around after the initial placement. Doors and windows can still be placed on diagonal walls and there are now windows in several heights to fit the different heights of the walls. The roof tool had a complete overhaul as well. You can now pull and push and change everything to your liking. There are several contact points with which you can change the look of the roof manually. The flexibility is very high and you can even color each roof part on its own. This sets no limits to the creativity of people. You can build round roofs as well as Asian looking ones and you can pull them to go all the way to the ground. There were no questions answered regarding any of these topics. The player now has to ability to check how the house will look at several times of the day; not just day or night. There’s still a grid but the player is still not limited to that (at this point, it’s unclear if it’s still the alt-key and some cheat or something else). There was no information on the neighborhood and if it will be possible to shape the terrain around. In Sims 1, I mostly built since that was the part that I liked best. 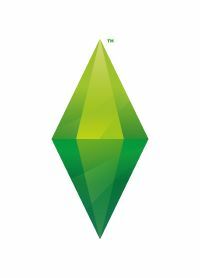 In Sims 2, it didn’t interest me that much anymore and I quickly lost patience. I don’t think I ever built any house in Sims 3. I prefer to play. The build mode in Sims 4 makes me want to go back to my roots and try stuff out. It seems you can get to your goal fast and easy without having to try around to see the best result. I also think that advanced builders will be very pleased. Maybe stuff needs to be done differently but the possibilities seem endless. The way they made the foundation does leave room to worry about the basement tool. How will it work ? Will we even get basements ? Also the integration of buy mode into build mode leaves a nagging doubt. How efficiently will we be able to find that certain object we wanted to use ? Will we have filters that help us with that ? The new build mode has a lot of potential but there are still way to many open questions to say it will be the best ever. The interface will still change since what we were shown was early software.